Rolls-Royce Motor Cars are celebrating the 110th anniversary of Charles Rolls and Henry Royce meeting for the first time on Sunday 4th May 2014. Possibly the most important date in Rolls-Royce history as they agreed to form the company that became famous for making ‘The best car in the world‘. Celebrations will take place at the Goodwood Motor Circuit in West Sussex and at The Midland Hotel, Manchester. 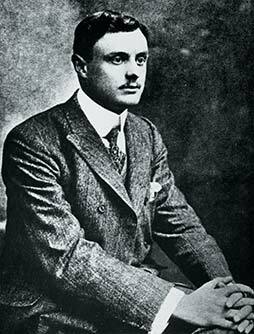 The Honourable Charles Stewart Rolls was raised in aristocratic privilege, and was an enthusiastic and accomplished motorist – a pioneer in a time when many people thought that motoring was just a fad that would soon pass. He was a shrewd businessman and talented engineer – a true visionary at a time of massive technical advancement. Rolls raced bicycles, motorcycles and motor cars and was an early advocate of aviation, firstly with balloons and then aeroplanes. He funded his sporting activity by running a car sales and service depot in London, C.S. Rolls and Co. The cars he sold were virtually all imported and Rolls was frustrated by, and often voiced criticism at, the lack of British initiative in this field. 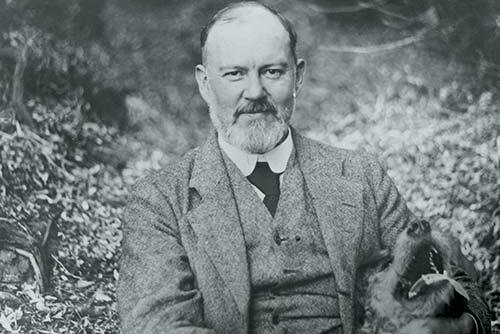 Sir Henry Royce originated from more humble beginnings. One of five children, he helped support his family selling newspapers for W.H. Smith, and then became a telegraph boy for the Post Office, delivering telegrams around London. His luck changed when an aunt offered to pay for an apprenticeship at the Great Northern Railway Works at Peterborough, the cradle of many great British engineers. His apprenticeship, combined with self-taught knowledge, resulted in a job with the Electric Light and Power Company in London and he subsequently set up his own successful engineering business in Manchester. In the early 1900’s Royce was also frustrated by the standard of construction and workmanship of motor vehicles of the day and set out to design and build his own car, the 10hp ‘Royce’. The car made its first journey from his factory in Manchester to his home in Knutsford, some 15 miles away, on 1 April 1904 without issue. Following a suggestion from Claude Johnson, partner at C.S. Rolls and Co., and Henry Edmunds, Director of Royce Ltd, Rolls travelled to Manchester on 4 May 1904 to meet Henry Royce at the Midland Hotel. The meeting went well considering their totally dissimilar backgrounds and a drive in the 10hp car showed Royce that Rolls was well and truly impressed. So much so that Rolls agreed to sell all the cars that Royce could build and came away from the meeting saying, “I have met the greatest engineer in the World.” It was also agreed that the cars would be known as Rolls-Royce motor cars. The famous radiator shape was devised and shortly afterwards the badge of entwined first letters from each man’s surname. Royce realised that in Rolls he had found a man who not only understood motor cars but also had the skills of a consummate salesman. On the train journey to Manchester for the meeting, Rolls told Edmunds that he wanted to produce a car connected with his name that would become as much of a household word as Broadwood was among pianofortes, or Chubb among safes. It was a prophetic conversation and little did the two men know that 110 years later Rolls-Royce would still be a household name across the world and be a symbol synonymous with the very best. 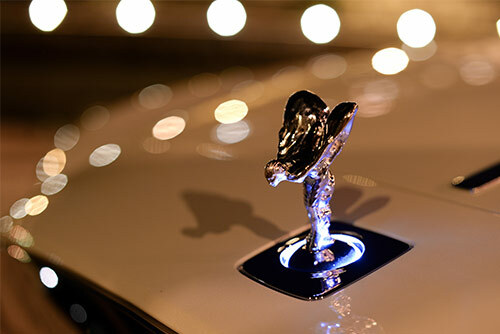 “The company created by Charles Rolls and Henry Royce had a simple philosophy – the pursuit of excellence – and one that the whole team at Rolls-Royce Motor Cars strives for every day.” said Torsten Müller-Ötvös, Chief Executive, Rolls-Royce Motor Cars. Goodwood. Three contemporary Rolls-Royce – Wraith, Phantom Coupé and Ghost – will be displayed at the ‘Supercar Sunday’ Breakfast Club meeting at the Goodwood Motor Circuit, close to the company’s Head Office and Manufacturing Plant. Manchester. A 2014 Rolls-Royce Phantom will join several early heritage Rolls-Royces on display outside the Midland Hotel. The event will be hosted by the Rolls-Royce Enthusiasts’ Club.